We had posted three threads on the topic “Framing the Innocents” as Parts I, II and III earlier. 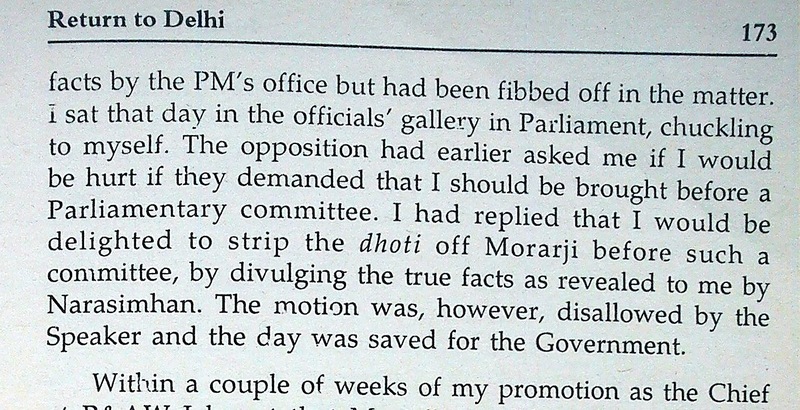 The present Post would show from real life example how honest officials can escape from being framed later. An officer must be meticulous in observing the formalities as per Office Procedure. He must obey the command of the higher-ups, as he would, otherwise, be charged with insubordination. But, if he does everything as per the orders of the higher-ups, he may land himself in difficulty, later, when that order from that higher-up happened to be an unlawful one. Conduct Rules permit the officers to defy the higher-ups when their orders are unlawful. But, in practice, it will be disastrous to the career and life of the officers to plainly refuse to obey such orders. Because, the higher-ups who tend to give unlawful orders, do indulge in unlawful harassment and victimization too, without any qualm of conscience. It is always difficult for honest officers to work under dishonest higher officers. In the circumstances, a subordinate officer who is committed to remain honest in his public service, can find solution to the dilemma, only in office procedure. The officer concerned should be alert enough to create proper records as per office procedure and ensure that the relevant records are kept safe, to establish his honesty, at a later date too. 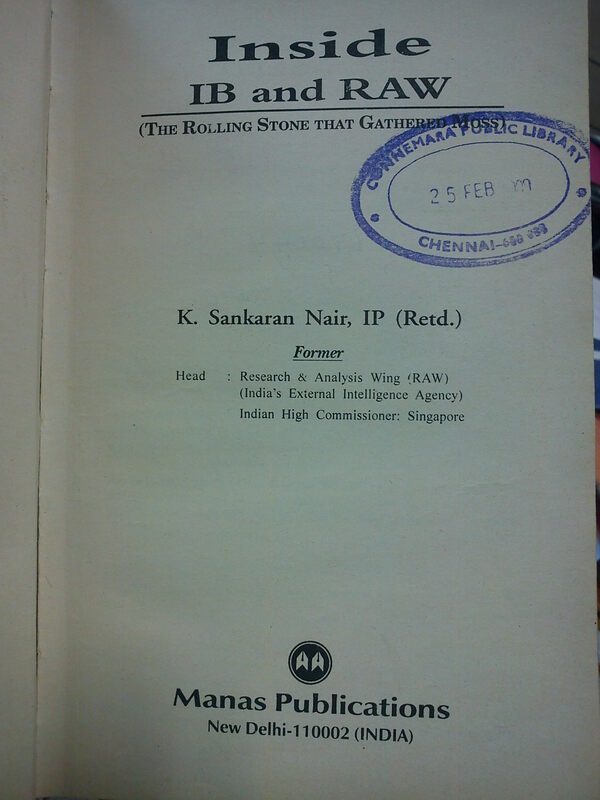 Here is an example from the life and career of Mr. K. Sankaran Nair, when he was, once, such a subordinate officer at the top-level, in the RAW. 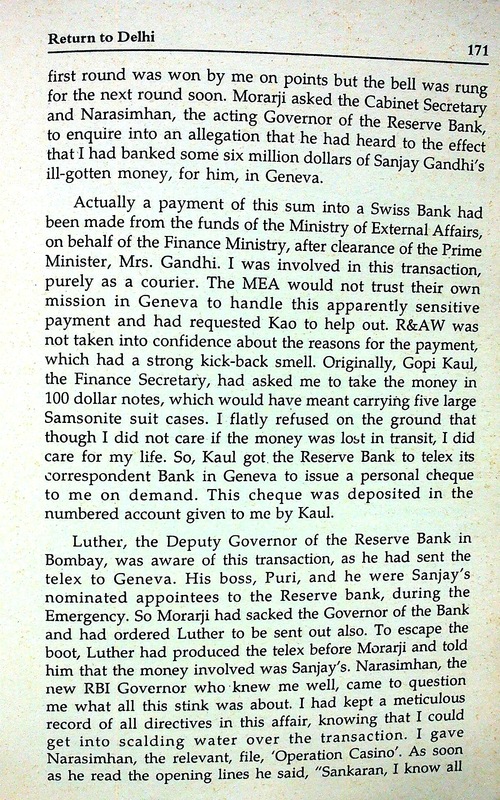 The incident he narrates in his book ‘Inside IB and RAW’ would guide the honest public servants to prepare proper filenotings and create relevant evidence to prove their honesty later, when they are under pressure to do some questionable actions. 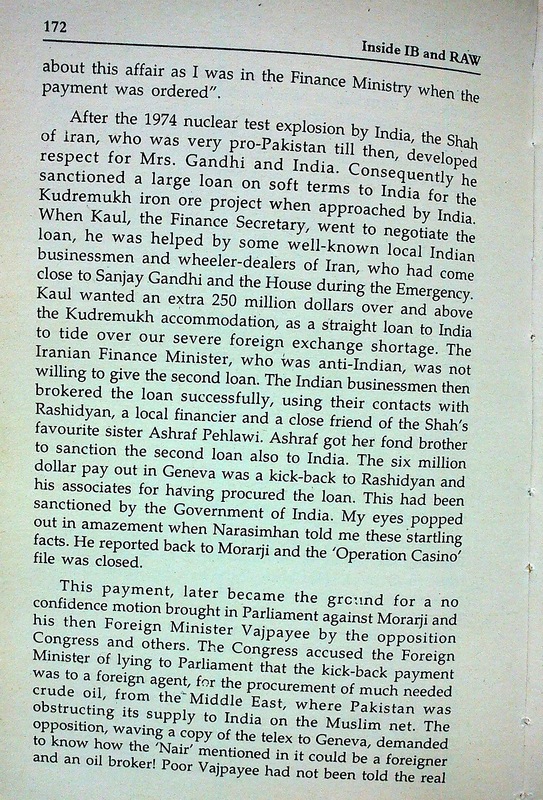 Pages 171, 172 and 173 from the book of Mr. K. Sankaran Nair are posted here for the benefit of the officers who choose to remain honest by choice.